Peas are good not only for soup and pea porridge. Russian recipes from the 17th century offer the modern vegetarian palate a wide range of tastes. 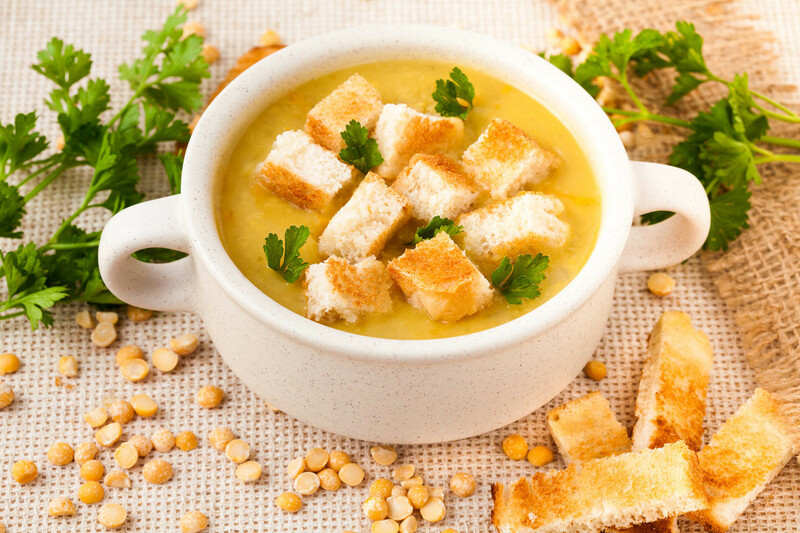 In Ancient Rus, peas were used in all their manifestations: raw green peas, heat-treated peas, young pods, ripened dried peas, and dried tops. The latter were used to make effigies for Maslenitsa (Shrovetide), which were burned in an attempt to summon spring. 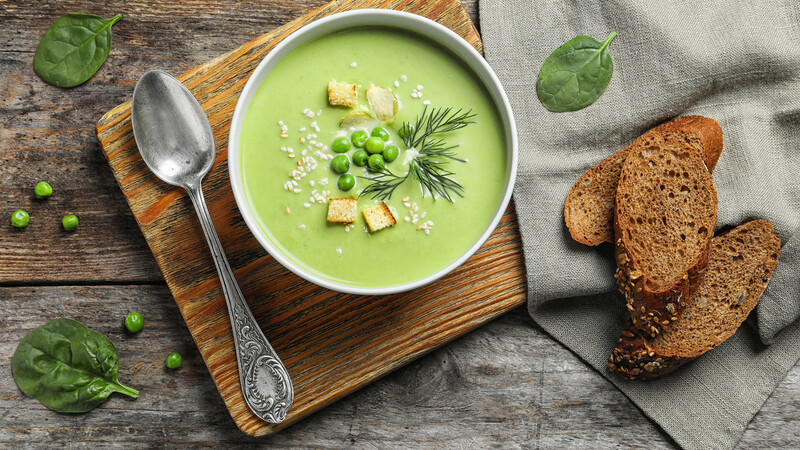 There was even a holiday dedicated to peas, which was traditionally celebrated in mid-August—at the same time as the Apple Feast of the Savior. From this day on, peas could be harvested and eaten. Peas were associated with economic prosperity and family well-being. After weddings, the newlyweds were ceremonially whipped with pea lashes at the entrance to their home. This was supposed to bring them wealth and lots of offspring. Here is a list of dishes whose effects on fertility have yet to be studied, but are sure to brighten up the day of any vegetarian. For best results, soak the peas overnight. Next day, pour 500-600 ml of water over the peas and boil until half cooked (1.5 hours). Then dice carrots, onions, and turnips (if available), and add everything to the peas. When the peas and vegetables are boiled soft, pour into a sieve, add salt and pepper to taste, and sieve again. Put the mix into molds pre-lubricated with vegetable oil, then turn them over, and place on a plate. Sprinkle over the top with green onions or add fresh vegetables. 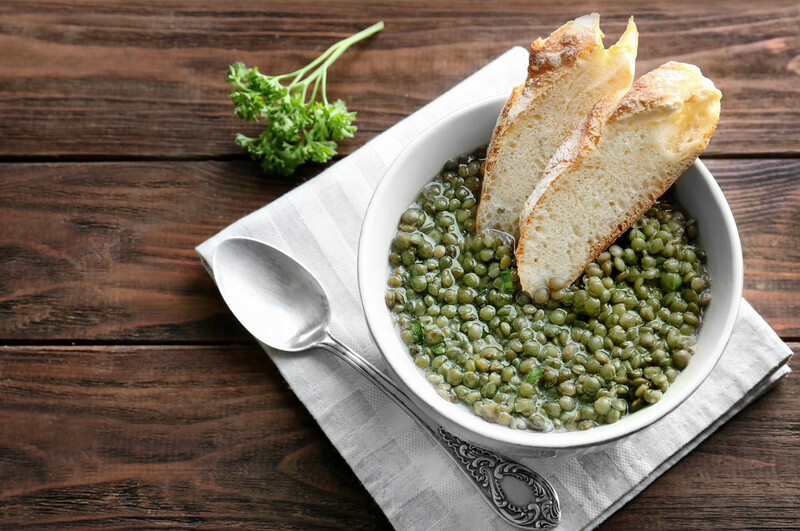 The peas are boiled until cooked (1.5-3 hours), then sieved and placed on a plate. Add fried onions or fresh greens, salt and pepper, and sprinkle croutons on top. You will need green peas from the pod. If they are hard and dry, they can be gently boiled first (5 minutes), but not boiled soft. Next, the peas are fried in vegetable oil with finely chopped onions, parsley, dill, and other herbs. Lastly, salt and pepper are added together with 250 ml of poppy milk (or cow’s milk if dietary requirements permit) and brought to the boil. Many people have heard of kissel (thickened fruit juice) made from berries. 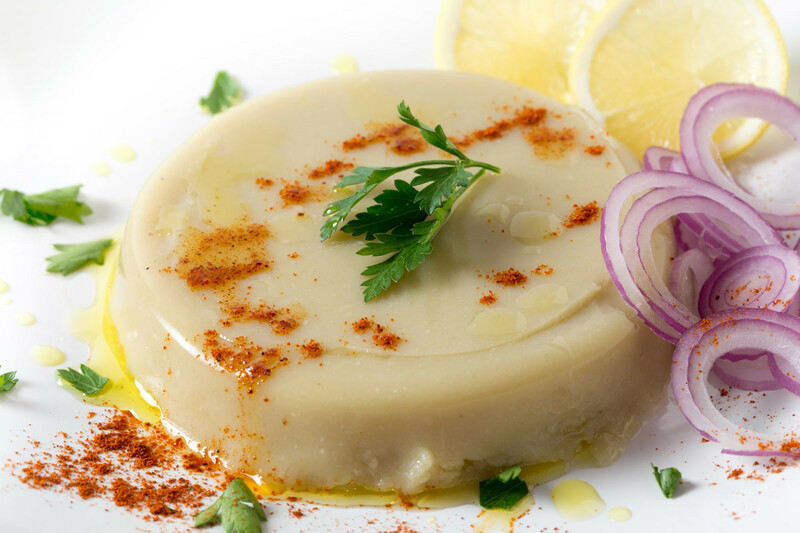 Made from peas, the dish that looks more like jelly. 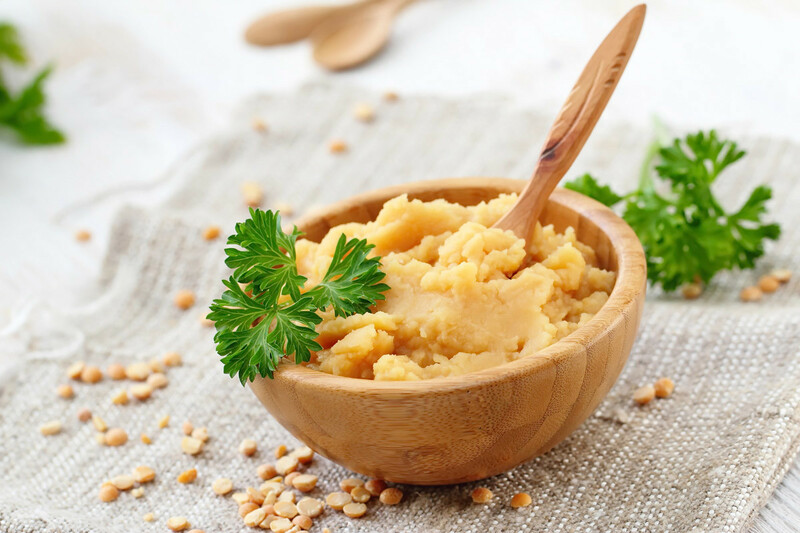 Grind 1 cup of peas into flour in the blender, and dilute with a small amount of water so that no lumps remain. Pour the pea mass into warm boiled water (0.5 liters) and cook for 20 minutes on low heat, stirring occasionally. At the end, add salt, pour the kissel into small molds, and let harden. Separately, peel an onion, cut into thin rings, and fry until golden brown. Serve the kissel on plates. So that it comes away easily from the molds, lower in hot water for a couple of seconds. Decorate with onion rings on top. 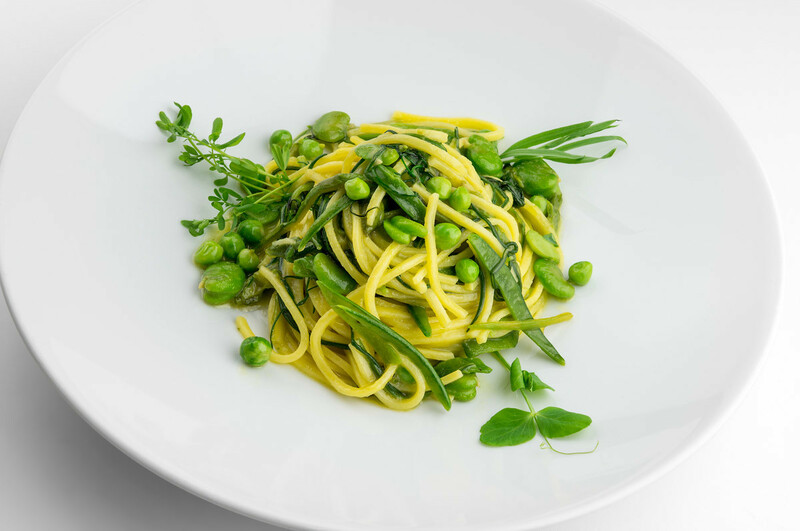 In Russia, pea noodles were made as follows: 400-500 g of pea flour (if there is none ready-made, grind peas in the blender) is poured into a pan. Crack 2-3 eggs and pour in, plus salt and cold water or milk (100-150 ml), then knead the dough. During fasting, the dough for the noodles was made from flour, iced water, and 1 tablespoon of vegetable oil. Either way, the dough is rolled into a layer and cut into noodles with a sharp knife. Then, the noodles are dried and boiled in salted water. 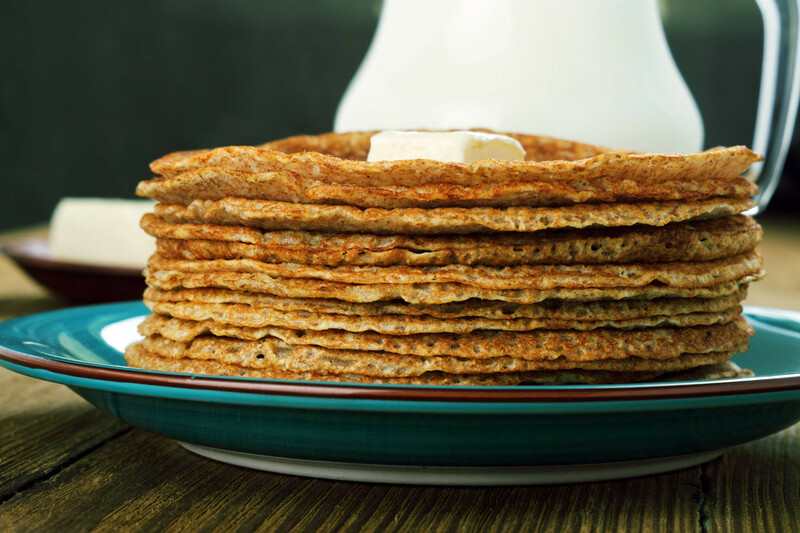 These unusual pancakes are as easy to make as wheat flour pancakes, but have a sweetish taste. Take some pea flour or grind peas in the blender. Mix 1 egg with 1 teaspoon of sugar and a pinch of salt, gradually pour in 150 g of pea flour, add 200 ml of water, and knead the dough so that no lumps remain. The pancakes are cooked as usual in a heated frying pan smeared with vegetable oil. These small pies resemble potato patties, but have a richer flavor. To make the filling, the peas are soaked the day before (1 cup) and then washed and boiled until soft; drain the remaining water. Fry finely chopped onion in vegetable oil and add to the peas. Add salt and mix the mass; if necessary, put through the blender. The dough takes several hours to prepare. Pour 250 ml of warm water into a bowl and dissolve 2 teaspoons of sugar and yeast (10 g) in it. Pour in a glass of sifted flour and mix. Cover with a tea towel and leave in a warm place for half an hour. When the dough rises, add half a tablespoon of salt and 4 tablespoons of vegetable oil, plus 3 cups of flour, and knead the dough. Place the dough on a board and shape into a ball. Put back in the bowl, and again cover with a tea towel and leave in a warm place for half an hour. 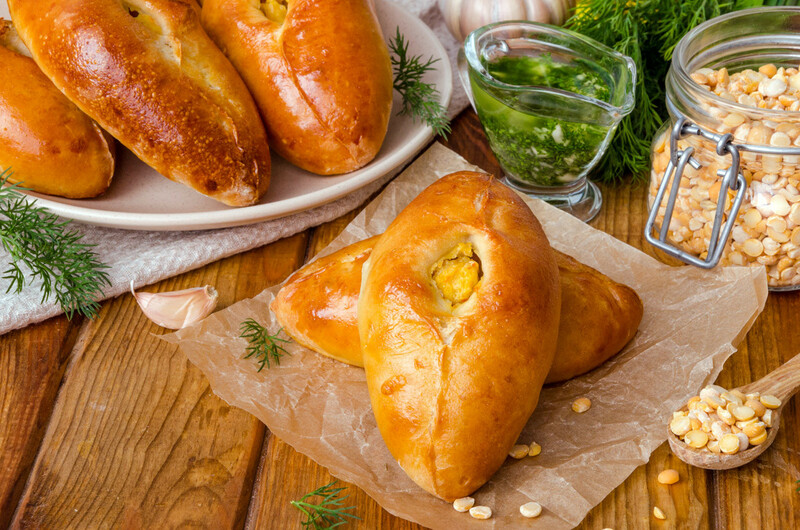 Cut the risen dough into pieces and give them a rounded shape. Roll out, spread on the filling, and make into patties. Lay them seam down on a board sprinkled with flour, and leave for 20 minutes. Finally, pan-fry the patties on both sides in vegetable oil. Read more: Why was pea kissel a favorite Muscovite treat?